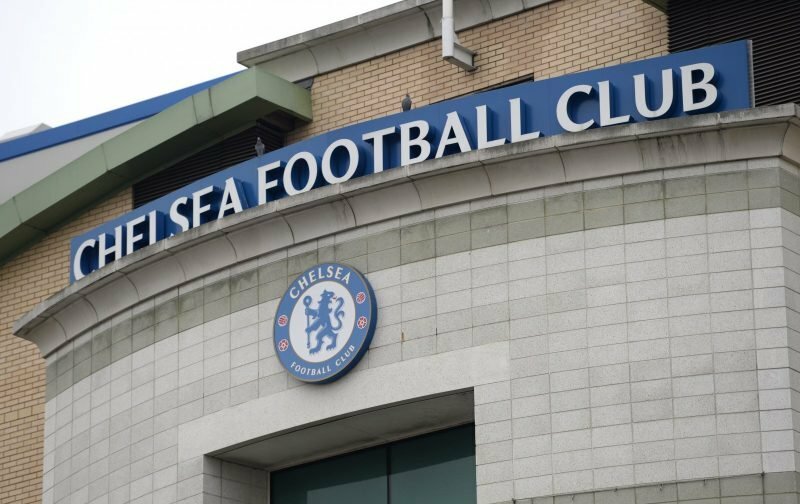 It’s the morning after the night before and the realisation is still settling in relating to FIFA refusing to let business as usual, transfer-wise, continue at Chelsea Football Club, whilst their appeal against the two-window ban is heard. It is, as many will agree, a harsh decision considering the leeway the likes of Real Madrid and Barcelona were afforded. However, the decision has been made and we now have to abide by it, whatever our personal thoughts are. But, looking back, we flouted with a ban over the Gael Kakuta case and perhaps there is a certain irony we’re about to cop for this ban after the transfer of Bertrand Traore raised a few FIFA eyebrows, with both players no longer at the club. Last night, trying to come to terms with the ban, I thought about how Chelsea would cope when it came to select a starting eleven, but tiredness got the better of me and the next thing I knew it was Saturday morning. But flicking through the social media sites, I came across the post below which would seem to indicate the ban isn’t as bad as we first feared with the author coming up with a plausible first eleven with named back-ups for all positions. As usual, your views on the transfer ban and the above social network posting would be most appreciated. Bring home boy successful former players as Manager like Terry or Lambard. Assisted by homeboy former player like Drogba. All this nonsense about “our football” from a 30 year serial trophy-shy Sarri will be forgotten. No sweat. Easy easy. Then adapt and swap players to reality. That’s how trophies are won. NOT SARRIBALL FOR GOODNESS SAKE. Yes that’s cool, Sarri’s ball in England don’t Please me at all. We have those who can get us trophies but Sarri keep on playing Italian method of football in England, which Chelsea players don’t prefer. The ban is not the problem. Problem is Sarri with “his” football. Let´s get rid of him. No manager with his “brand” of football has worked at Chelsea under Abramovich, since Mourinho 1.0. Even then, there was a generational element present that had been bridged, in the meantime. The one truly great manager – Carlo Ancelotti – wasn’t good enough for the idiot man-boy Abramovich. So absolutely no, NEVER while Abramovich owns this club, let any player legends hold the reins. This owner is not worthy. He’s a complete shite-for-brains. Keep this manager until Dear Leader gets bored, and sells. Or is imprisoned. Or forced out of country. That’s a very optimistic starting eleven there, no indication Hazard, CHO or Willian will even stay, Bat’s is an impact player, not a starter. We are in this transfer mess because Abramovich hired and trusted Emenalo (he was in charge of young players including signing ), instead of getting a real DOF, he went with the cheapo option of hiring a girl scout youth coach. Honestly i think the novelty has long gone, and Abramovich does not care about the club anymore,the allegedly we are for sale for 3.8 bil, but not to a British buyer, seems he is angry at the UK. Abramovich is a fuckwit. I hate this man so much. Let him go off and do his criminal oligarch things, and leave football in the hands of football people. That’s it all sorted for next season, that was easy, why didn’t I think of this! !